In a blender, add pineapple, tequila, coconut milk, lemon juice, sugar and blend for a few minutes. Place shredded coconut on a dish. Spread honey along rim of a margarita glass, and roll in the shredded coconut. Repeat with the other glass. Pour margarita mix into each glass and garnish with lemon slice. Serve. If you don't like pineapple, use mango. This is a truly refreshing version of this classic drink. 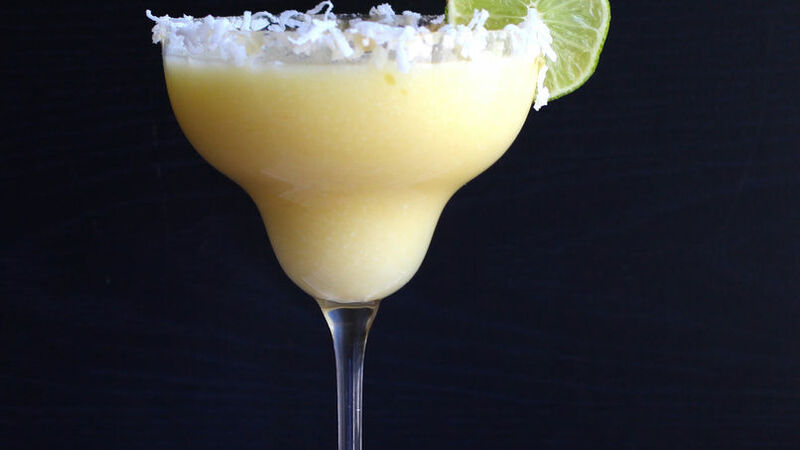 If you love margaritas, you definitely have to try this version made with coconut and pineapple. It's perfect to serve on hot summer days when you entertain your friends!